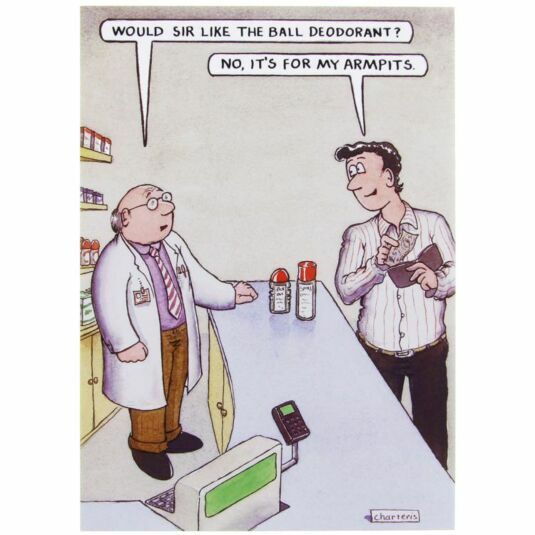 "Would sir like the ball deodorant?" "No, it's for my armpits". The inside of the card reads Happy Birthday with space for your own personal message, and the card comes with a green envelope.